Most types of mold are reproduced by spore formation – these are small microscopic cells that are transmitted by air. The mold can feed on almost any matter as long as there is enough moisture and minimal oxygen. 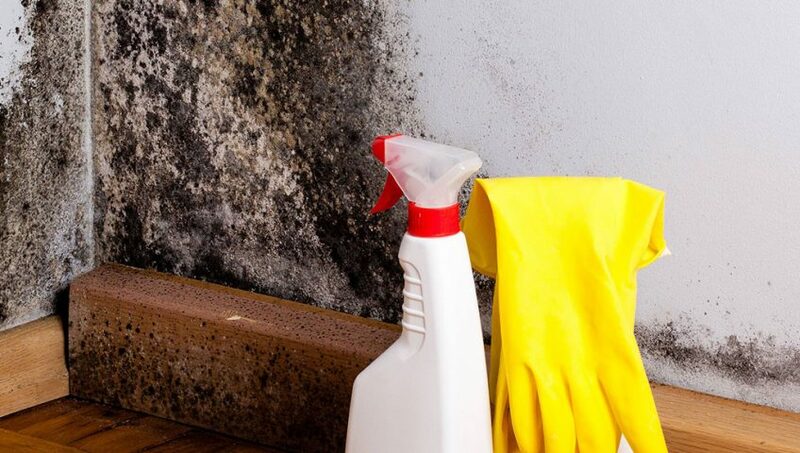 Typically, mold begins to develop in the presence of excessive moisture in the room or in building materials, including inside linings, ceilings, tiles, wooden surfaces, wallpaper, latex or in heating, ventilation and air conditioning systems, as well as in carpets, etc. When mold spores reach a damp surface, they begin to grow and eat with it. Left without interference, they can destroy the surface. The mold can be of any color. Its varieties and metabolic products are associated with adverse effects on human health. It is known that certain diseases are caused by certain types of mold. Mold needs a small food source, grows seamlessly and produces spores, volatile organic compounds and other toxins. An organism can multiply to one trillion in less than three weeks, provided that appropriate conditions are provided. Mold can appear everywhere: in homes, schools, workplaces, hotels, kindergartens, hospitals and even in the vehicles. Perhaps you have noticed that mold growth occurs during the cold periods. Exceptions are the areas with increased moisture concentration – kitchens, laundries, toilets and bathrooms, where mold conditions are ideal throughout the year if ventilation is not effective. As already mentioned, the emergence of mold is related to the creation of suitable conditions for its development. The problem of thermodynamics of buildings has not yet been solved in mass construction. Any repairs in the dwelling are associated with additional saturation of the air and building structures with moisture. General sources of water in the buildings are water and sewage systems, roofs, windows that leak water; leakage; condensation of moisture on cold surfaces (eg condensation on water pipes or walls); poorly maintained drainage pipes; the wet foundations of the building; water vapors from unventilated or poorly ventilated kitchens, bathrooms, heating installations or steam pipes. It is not possible to eliminate all spores of mold in the interior. However, humidity control can be performed – this is the most important strategy for reducing mold growth in the premises. Defects in water drainage systems – uncleaned gutters, breakthroughs or unsealed pipe joints, gaps in joints in panel dwellings. Use of cold materials for interior solutions. It has been found that some of the main factors for the appearance of mold in the enclosed premises are the increased humidity and the stagnant air. The first symptom of mold premise in the room, even when there are no visible traces of it, is the smell of spitting and sweating of the windows. The joints of the wall-to-wall joinery must be well-insulated, regularly inspected for exterior protective coatings, periodically inspected roof condition, drainage systems, and all the elements that can build up moisture in the building. In bedrooms and rooms where there are more plants, aquariums and other sources of moisture, ventilation and humid air must be increased. In rooms with a very high concentration of moisture, intensive ventilation should be carried out. In the absence of the dwelling, the doors of the dry rooms may be left open for the purpose of naturally circulating the air masses. Repairs are preferable during warmer seasons – this ensures that moisture from the walls will evaporate. If this is not possible, in the winter months the temperature and humidity in the rooms should be constant. Air humidity in dwellings and offices should not be allowed to exceed 60-65%. This can be achieved by maintaining a constant temperature of about 22 degrees throughout the day, periodic ventilation or controlled ventilation. Is Mold Dangerous for Health? Modern homes hold more moisture and airborne contaminants that cause respiratory problems and create an environment conducive to micro-bacterial activity in the home such as mold, microbes, bacteria and viruses. Definitely the mold is not a pleasant sight, but the more terrible is that it negatively affects the health of the inhabitants. Not all types of mold have a characteristic smell. Under certain specific conditions, some types of mold create toxic fluid or gaseous compounds called mycotoxins. Mycotoxins are harmful and even deadly for humans and animals that are exposed long enough at high doses. People with health problems can be quite susceptible to mold, especially if they are exposed for a longer period of time. For example, people with respiratory problems such as asthma, sinusitis or various lung diseases may be more affected. Children and adults with weakened immune systems are more sensitive to moisture and mildew, and more often they experience various diseases. The immune system may become weaker if the person is in a state of pregnancy, diabetes, autoimmune diseases, leukemia, AIDS if he is recovering from a recent surgery; if he has undergone chemotherapy or long-term steroid therapy; if he or she has been transplanted a bone marrow transplant was performed. When it comes to molding in the dwelling it is desirable to take the quickest way to remove the causes leading to its development rather than to take measures only to restore the aesthetic appearance of the home.